Chinese electric vehicle maker NIO has released the production model of its seven-seater performance electric SUV. The ES8 incorporates a host of interesting tech features like an advanced driver assistance system using Mobile EyeQ4, autonomous traffic jam driving and the world’s first in-car AI system. One of the most interesting announcements from NIO related to the ES8 however has to do with battery recharging. The company plans on constructing a Tesla-like supercharger network in China, but that won’t be ready when the ES8 goes on sale. So to fill in that time gap, NIO is proposing two different ways batteries could be quickly recharged in situations away from a plug at home or work. 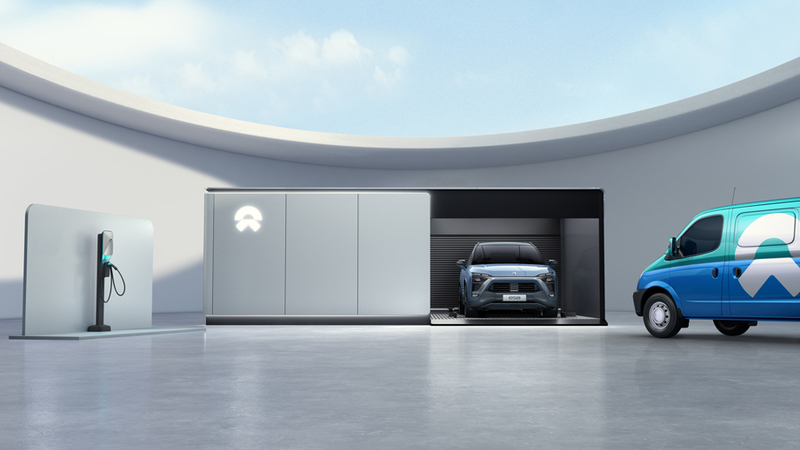 The first is called the NIO Power Swap Station, which the company describes as “a new charging experience that allows the ES8’s battery to be swapped in three minutes.” In simple terms, NIO Power is a self-contained battery vending machine. The process of swapping a battery in an ES8 is fully automated and, in theory, the ES8 could drive itself in and out of the bay using autonomous parking features. NIO intends to have 1,100 stations operating by 2020 in China. 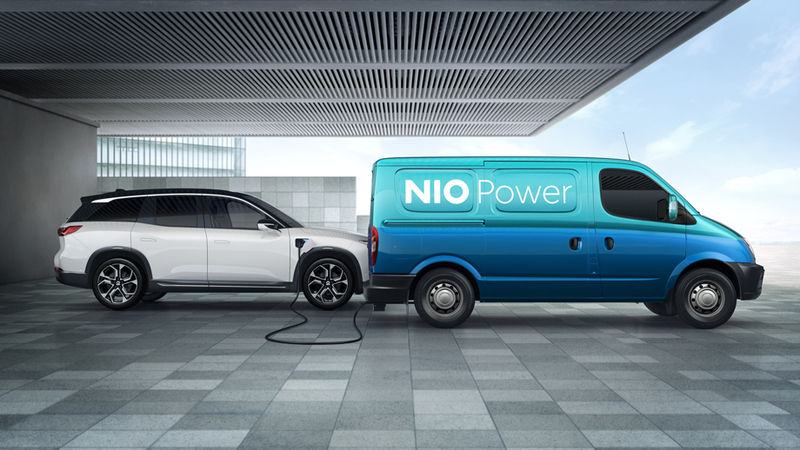 The second service is NIO Power Mobile, a fleet of battery equipped vans that can be hailed to deliver a recharge anywhere. The Power Mobile vans will be able to supply 100 km (62 miles) of driving range after a 10-minute charge. Power Mobile is an electric version of petrol direct-to-vehicle delivery services like Purple, Filld and Booster. NIO hasn’t specified if the vans will be powered by electric or gas. They do however plan on building a 1,200-vehicle Power Mobile vehicle fleet by 2020.